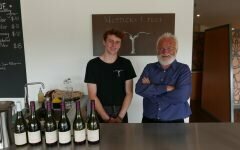 I was driving in the Yarra Valley with a fellow English teacher when I got an email from Morris Jones advertising their latest Food Society event, Story through Shakespeare. 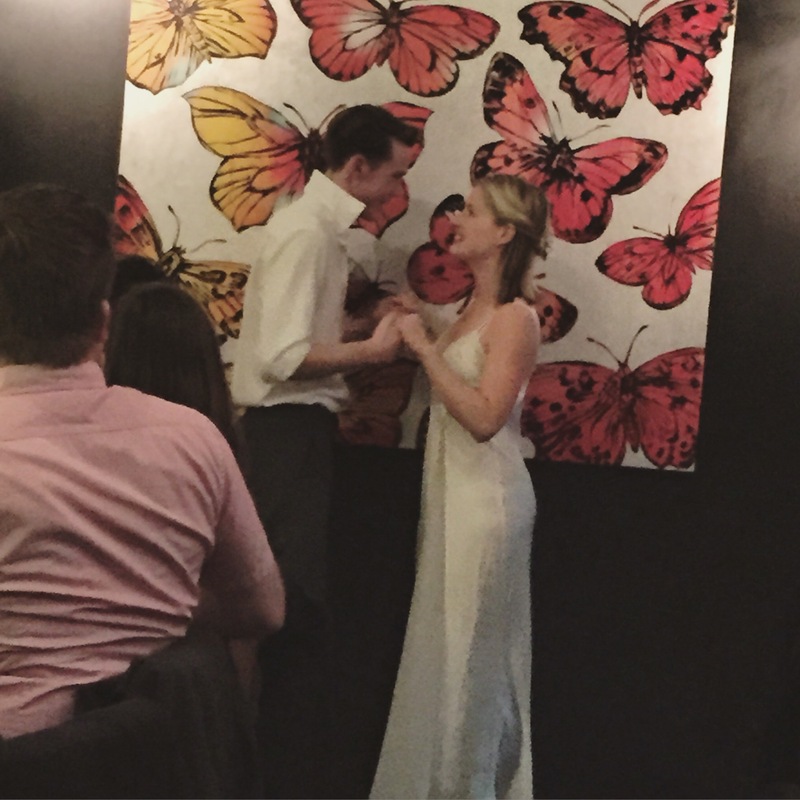 We immediately decided to go… Food and Shakespeare! Surely this has got to be an English teachers dream evening. This was not my first time at Morris Jones. 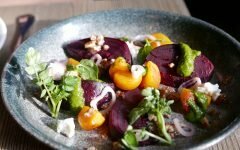 I ate there a couple of years ago just when Matthew Butcher was establishing his menu at the gorgeous Windsor warehouse, long before Foodie Melbourne was invented. 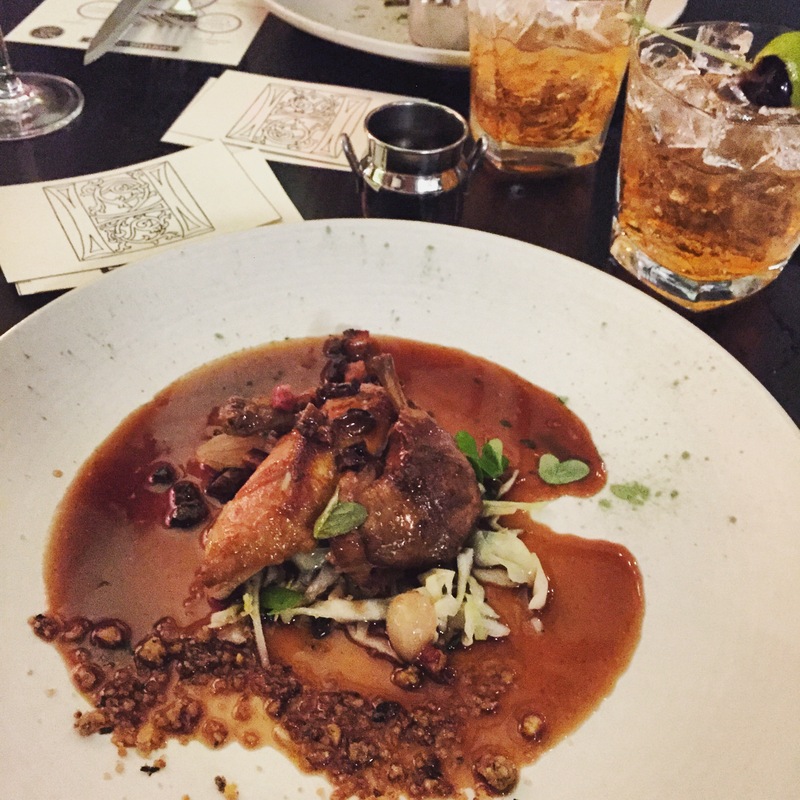 This experience definitely inspired me to go back and see how the menu has progressed since then, as this Food Society event was a meal I will always remember. 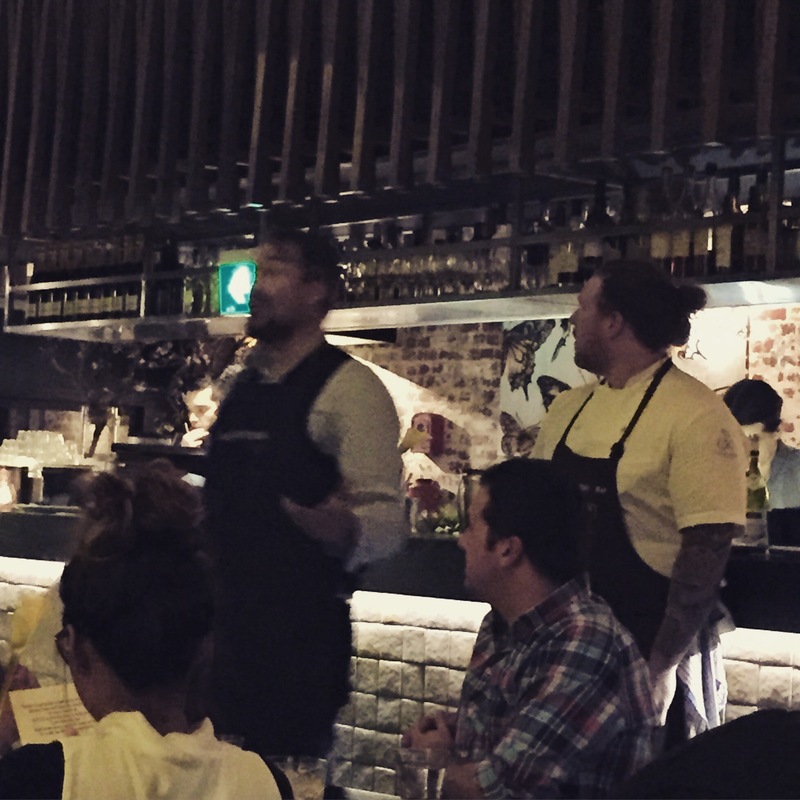 Morris Jones holds a Food Society event every few months, but this was my first one. 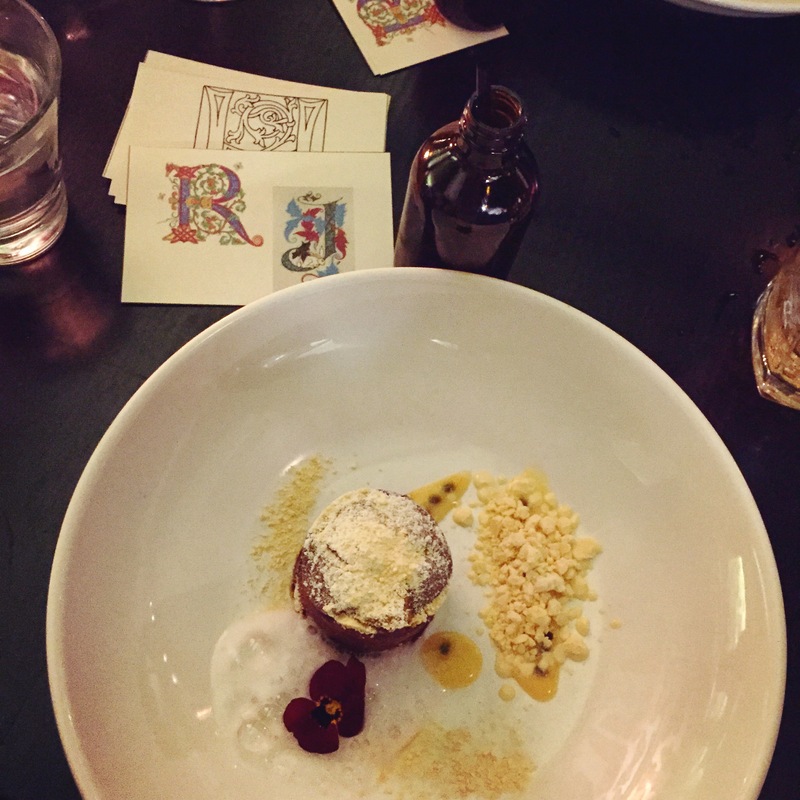 As a huge English nerd, I was so excited to see how Matthew Butcher and his cocktail accomplice, Sebastian Raeburn of Bacardi, would interpret these timeless plays on the plate. What they did manage to do was so visually exciting and delicious that I cannot wait to see what the Food Society comes up with next. First course was ‘A Midsummers Nights Dream’. 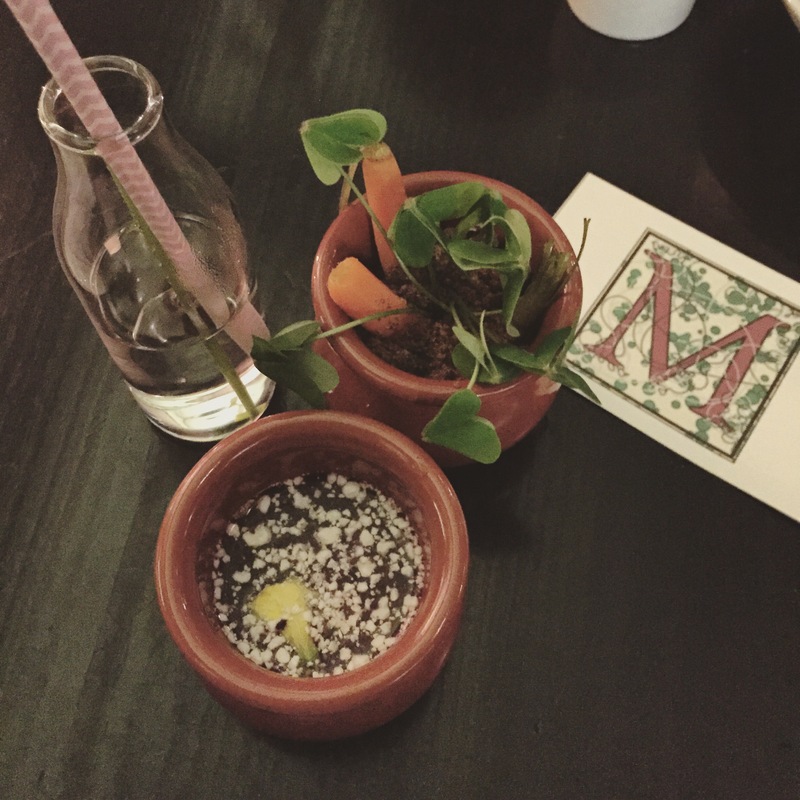 When we arrived, I commented to my friend how cute the table decorations were- gorgeous little terracotta pots filled with soil and baby carrots, and beautiful little glass jars holding a single flower. I was also intrigued by a plastic sachet of liquid and a small pair of scissors on the table. I was delighted when Matthew told us that first course was already on the table! 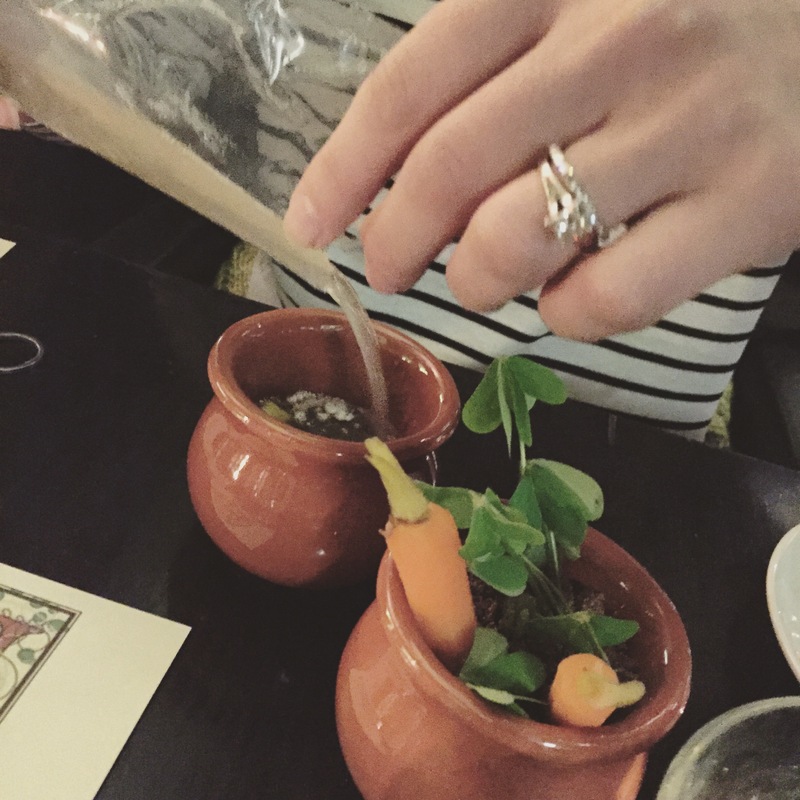 Puck’s Flowerpot and Pansy Juice was so texturally interesting and tasted incredible- mushroom ‘dirt’ with pickled vegetables and a cream in the bottom of the pot, as we sipped on a cold soup that we poured ourselves from the plastic sachets. We were then handed a straw and drank from the vases on the table, a ‘Midsummer Blossom Sour’. Very creative! Second course was my favourite dish, the Butterfish Bloodbath. This dish was so simple, but the produce so beautiful that the flavours were quite complex… and it completely captured the bloodbath at the end of Macbeth. 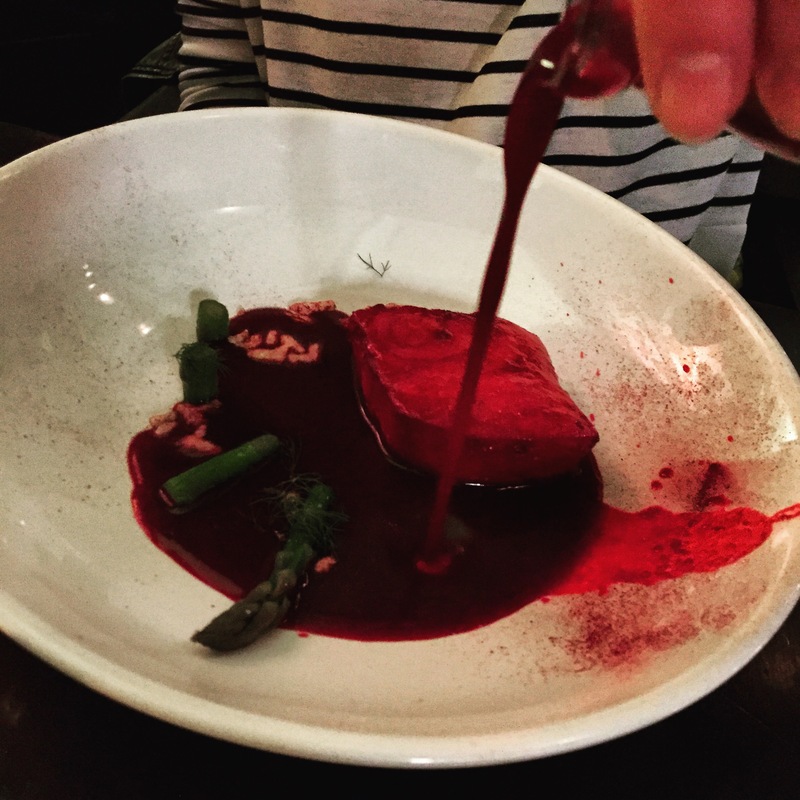 Butterfish served with a beetroot ‘blood’ sauce and asparagus. The accompanying cocktail was a red wine cocktail, the ‘Birnham Wood’. This was followed by Hamlet’s Coq, a take on coq au vin using a spatchcock and served with cabbage, prunes and bacon. The sauce was the highlight of this dish… prunes and bacon, who would have thought? I really liked how Matthew had not only used the storylines of the plays for inspiration, but also the Elizabethan history, such as how the only chickens they ate back then were small ones, hence the spatchcock. The cocktail served with this dish was very aptly named ‘Mother’s Ruin’. The dessert was equally as exciting as the mains. 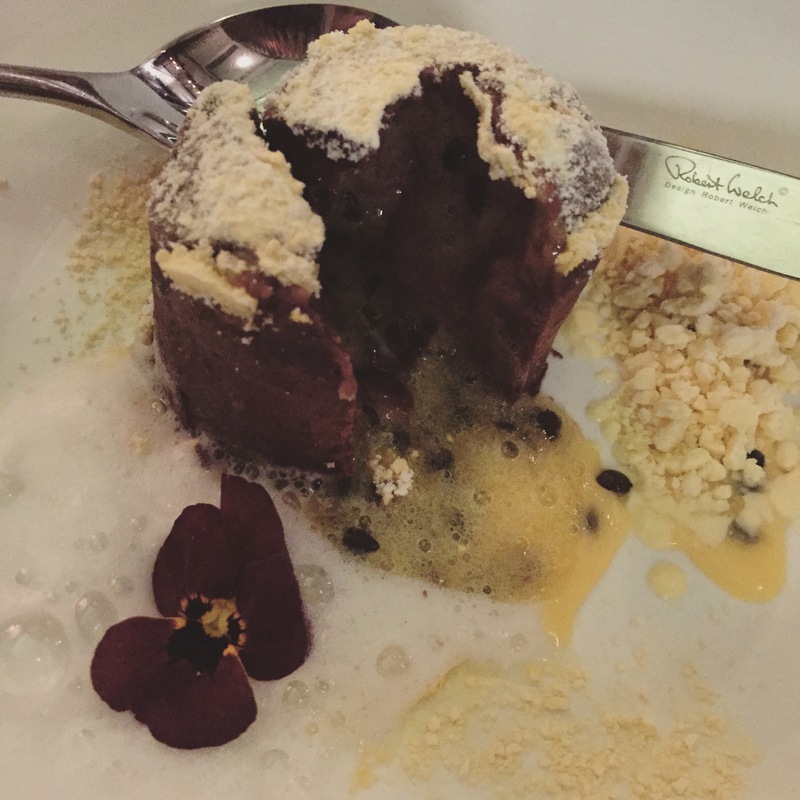 This was not your typical Death by Chocolate, as Romeo and Juliet are not killed by chocolate, but by passion! 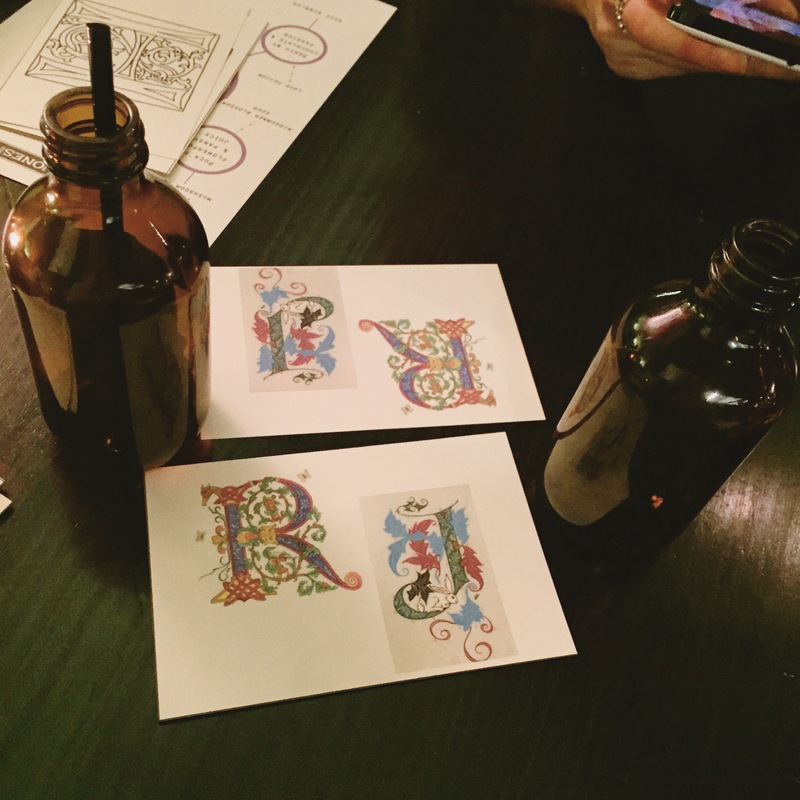 We sipped Rose Bubbles (chocolate flavoured champagne… take all my money! Amazing!) as we stabbed the chocolate with Juliet’s knife and watched the passionfruit pour out. Very delicious and interactive. The evening became even more interactive when all of a sudden the lights came up and we looked to the balcony of the restaurant where Juliet was standing, and we were treated to a beautiful rendition of the balcony scene whilst we ate our dessert. This evening was a classic example of food being more than just nourishment… It was food as art, food as theatre, food as an experience. I loved every minute and was absolutely in awe of how intelligent, creative and well thought out each and every dish was. Thank you to Matthew, Sebastian and the restaurant for giving two English teachers a thrill and an absolutely delicious meal. 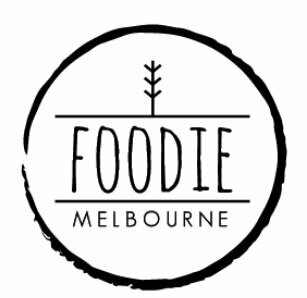 I strongly urge Melbournians to give one of these events a try… but only after I get my ticket. Hint: next up is Paleo. I hope to give a proper review of Morris Jones regular menu soon, there are definitely some exciting things happening in their kitchen! I hope you had a delicious weekend! It was very special! They do a different concept every 6 weeks, must be so much fun for the chef to try all these different themes!